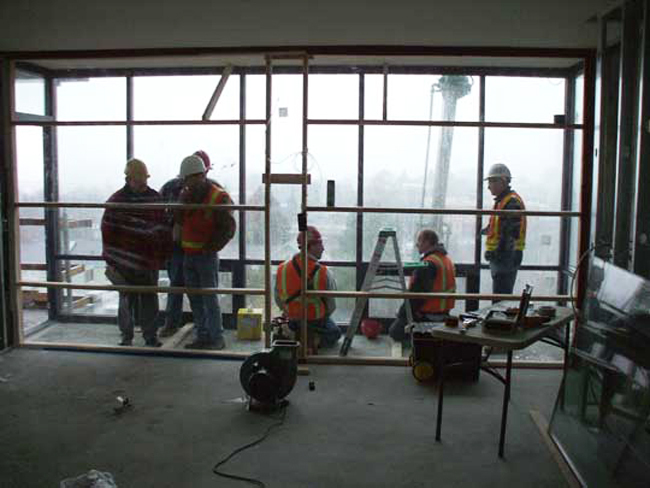 Field Testing « National Certified Testing Laboratories, Inc.
Field testing ensures proper performance of fenestration products that are installed in a building. The approach can be proactive in nature to make sure all is well prior to building occupancy. It can also be employed if there is a question regarding product performance versus product installation. This can assist in determining the source of trouble and provide a starting point for remediation. Forensic field tests can be used to determine the specific performance characteristics of an installed product. AAMA 502 is the industry accepted field testing standard and employs the ASTM E783 test method for field air testing and the ASTM E1105 for field water testing. AAMA 502 “Method A” tests only the product while “Method B” tests the product as well as the rough opening. There is AAMA 501.2 nozzle water testing and AAMA 503 pressure testing for curtain walls and storefronts. Improperly installed fenestration products can cost a manufacturer, owner or developer both repair time and money. NCTL’s trained professional staff can evaluate your installed fenestration systems in the field to raise your confidence level in a project well done or pinpoint a not so obvious problem.